Dubai, UAE, October 18, 2018: A new version of the Big Date joins the classic Baroncelli collection. 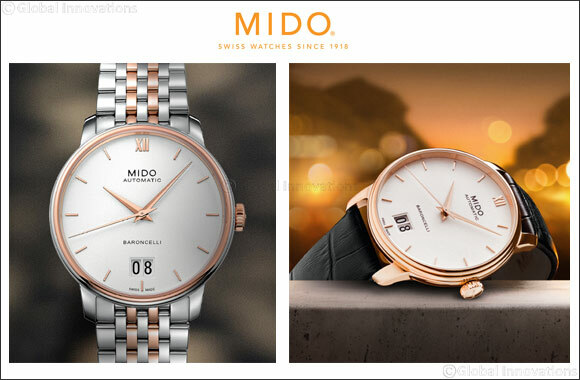 To celebrate its 100th anniversary, Mido has endowed the watch with a large date aperture, with the timepiece powered by its exclusive Caliber 80 movement. Equipped with a superb round polished steel case, enhanced with an elegant double gadroon bezel, the Baroncelli Big Date stands out due to its large two-level date aperture at six o’clock. The Baroncelli Collection starts at AED 3,750.